Nestled in the foothills of the Bavarian Alps, less than two hours' drive from Munich, the quaint little village of Oberammergau is one of Europe's most unique destinations. Every decade since 1634, it has hosted a Passion Play - an epic event that traces Jesus' life, death and resurrection with a moving feast of drama and music. The next play is in 2020 - and you'll be able to experience it on several of Collette's special European Oberammergau tours. If you can't wait that long, don't worry. 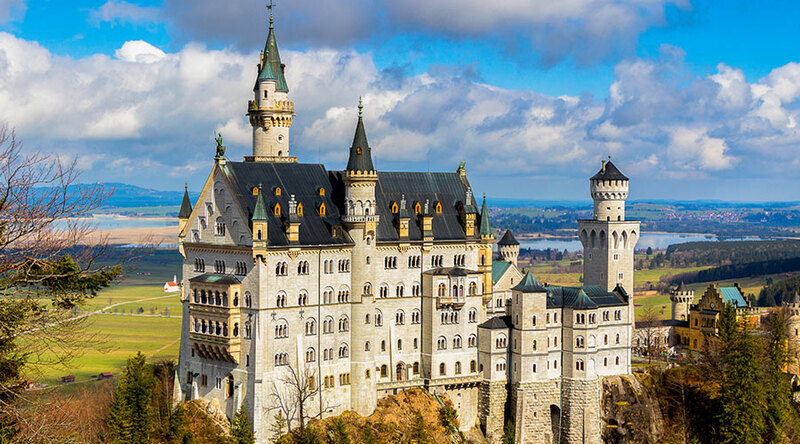 Boasting enough charm to make it worth visiting whatever the year, Oberammergau is included on three of Collette's regular tours (Discover Switzerland, Austria and Bavaria; Exploring the Alpine Countries and Classic Christmas Markets). Here are some of the village's highlights. As well as being the venue of a show that will be performed in German (with a printed English translation) five days a week from mid-May to early October, 2020, this 4800-capacity theatre traces the play's fascinating origins with pictorial displays, props and backstage tours. Ravaged by war and the Bubonic Plague, the villagers promised to do a Passion Play every ten years if God spared them any further deaths. He did, so they kept their word. 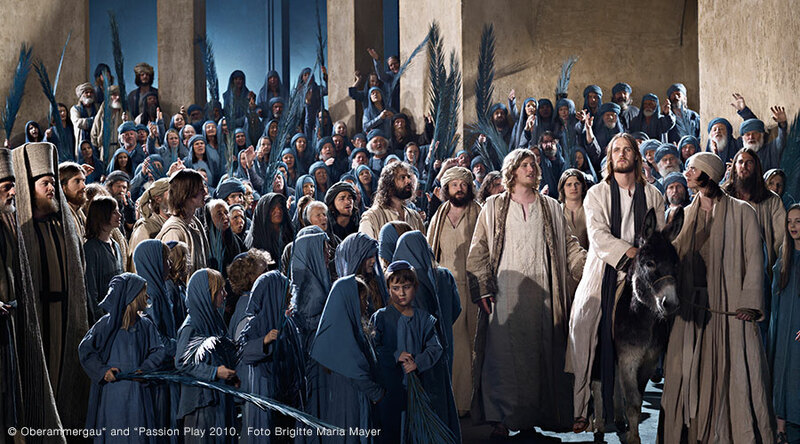 Now attracting spectators from across the globe, the play involves almost half the village, with the cast of 2000 actors, musicians and stage technicians all residents of Oberammergau. Whether it's a private home or a cafe, a tavern or a shop, chances are its facade is covered in decorative frescoes. Postcard-perfect Baroque buildings are a feature of Oberammergau, and while many sport colourfully-painted scenes from the Passion Play, others also carry joyous celebrations of Bavarian life - think: drinking and dancing - and Brothers Grimm fairytales, such as Hansel and Gretel and Little Red Riding Hood. This type of artwork, known as Lüftlmalerei (air painting) in German, was brought to Oberammergau from Italy in the 18th century, and is guaranteed to have you snapping away on your cameras. Wood carving has thrived in Oberammergau since the Middle Ages, but it was the demand for souvenirs from Passion Play pilgrims that really helped the industry boom. Browsing the village's family-run shops, you'll find everything from nativity scenes, crosses and Madonnas, to secular items like toys, cuckoo clocks and picture frames. The best stuff is hand-made from limewood, and sometimes painted in vivid hues. You can see masters at work at several shop windows, while more incredible woodwork is showcased in the parish church of St Peter and Paul. 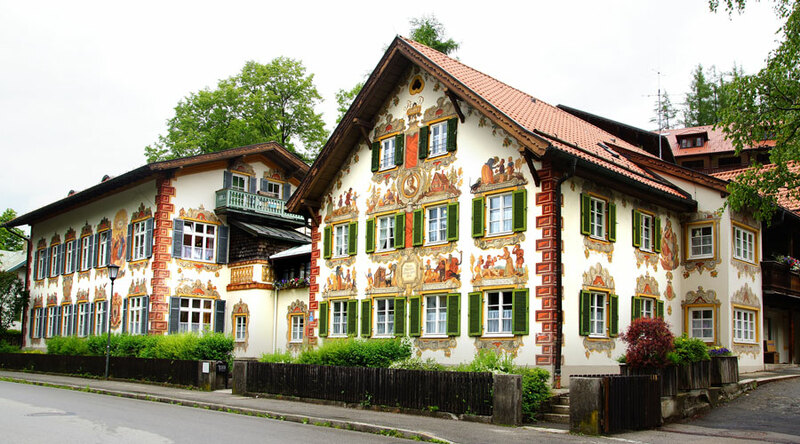 While its compact centre, with its knot of narrow backstreets, is a lovely place for a stroll, Oberammergau has some pleasingly tranquil outskirts that reward walking (and cycling). A foot - and bike - path runs beside the River Ammer, which flows through the village, and you can glean wonderful panoramas from various vantage points, notably at the Crucifixion Monument. This hilltop marble statue was donated to the village by Bavarian King Ludwig II after a Passion Play was performed privately for him in 1871. Incidentally, one of Ludwig's flamboyant castles, Linderhof Palace, is located 14km from Oberammergau. 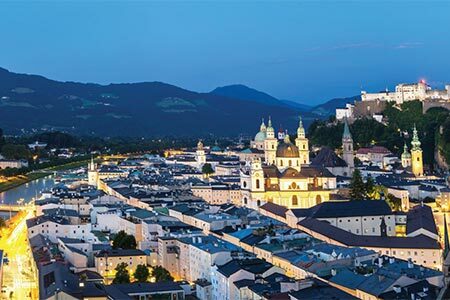 Though curried with cosmopolitan flavours - you'll find Italian, Chinese and Mexican eateries here - Oberammergau is distinctly and proudly Bavarian and you can savour its delicious, hearty regional cuisine at the village's hotels and restaurants. Try the likes of roasted pork or venison goulash with red cabbage and potato dumplings with, say, Ettal beer - which is brewed by monks at a local abbey. If you're visiting Oberammergau in winter, during the enchanting Christmas markets, you might be tempted by its aromatic wurst (sausage) and mulled wine stalls. 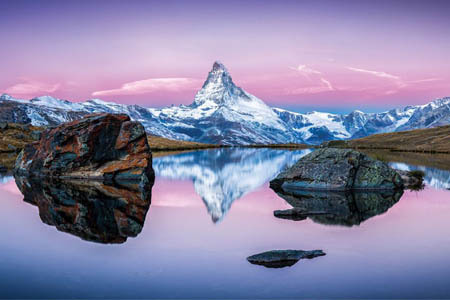 A regular contributor to some of Australia's leading newspapers and travel magazines, Steve McKenna has visited, written about and photographed more than 90 countries on six different continents. He figures he has an incurable case of wanderlust and hopes to be travelling long into retirement. 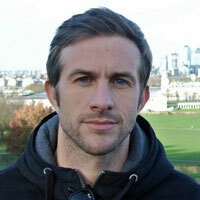 The Traveling Well team loves to share their insights, tips and personal travel stories. We want to inspire you to broaden your horizons, to try new things and gain a new perspective on the world. Our blog on travel features the best tips, the latest trends, and the rare moments that make travel special. Wherever your journey may lead Collette will be there for you.